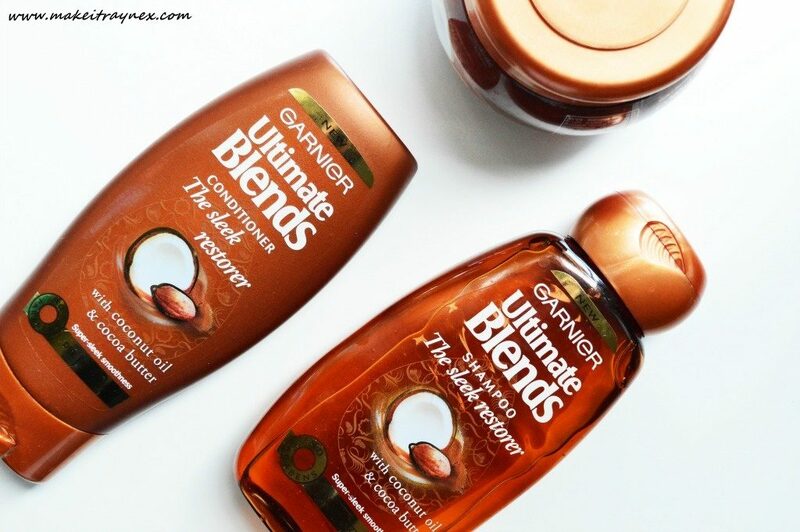 I’m pretty sure you have seen the Garnier Sleek Restorer Ultimate Blends range all over social media. They have been deemed as some of the best haircare products to come from an affordable range in a long time. 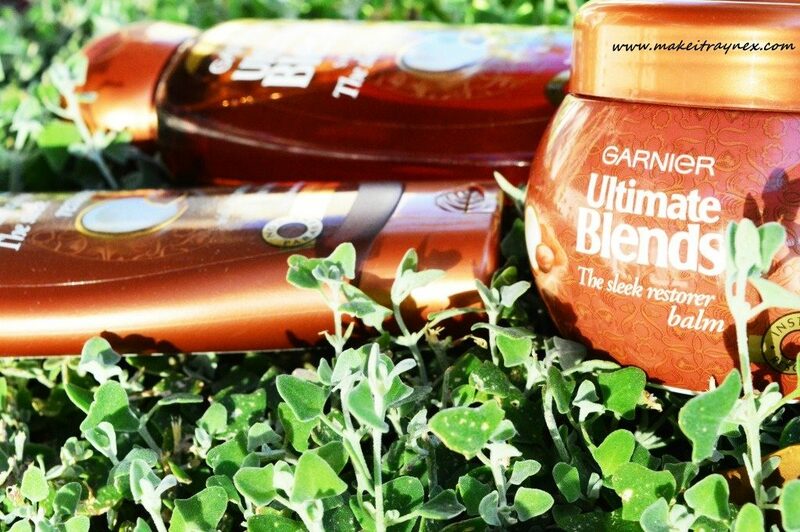 The Ultimate Blends range consists of six variants, each designed to combat a specific haircare concern. I’m not going to go into all six of them but I will be sharing my thoughts on the Coconut Oil & Cocoa Butter variant, which is the Sleek Restorer range. The Coconut Oil & Cocoa Butter range is specifically geared towards achieving sleek and flyaway-free hair. Straight off the bat I wanted to try this variant for two reasons; 1) as a curly haired girl, I am always looking for ways to tame the dreaded frizz. And 2) I adore products that contain the scent of coconut. I was hoping this would be the kind of haircare product where the scent stays with you. Firstly, the packaging. I love that the shampoo & conditioner have slightly different packaging as this makes it easy to locate the correct bottle when you are in the shower. The formula is divine. 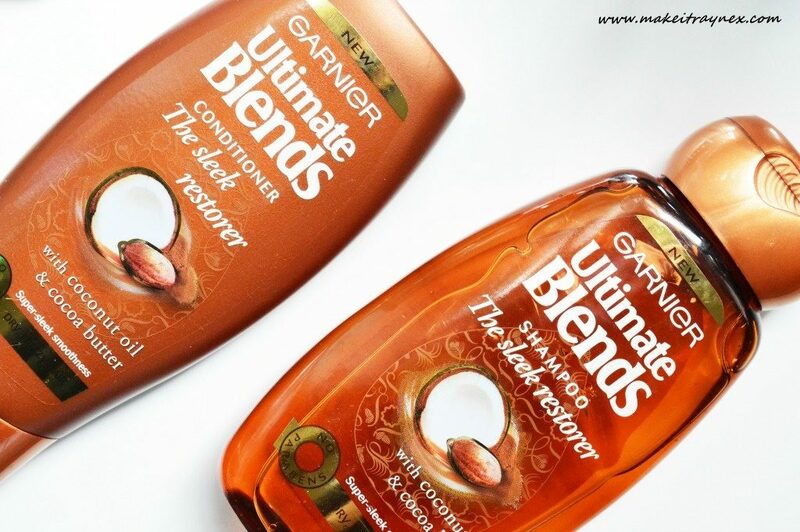 Super creamy conditioner and sleek-feeling shampoo. And, yes, the delish coconut and cocoa butter scent stays with you for about 48 hours, but it is definitely not overwhelming. The Coconut Oil & Cocoa Butter variant contains four products; Shampoo, Conditioner, Sleek Restorer Balm and the Sleek Perfector Oil. I didn’t test out the Sleek Restorer Perfector Oil. 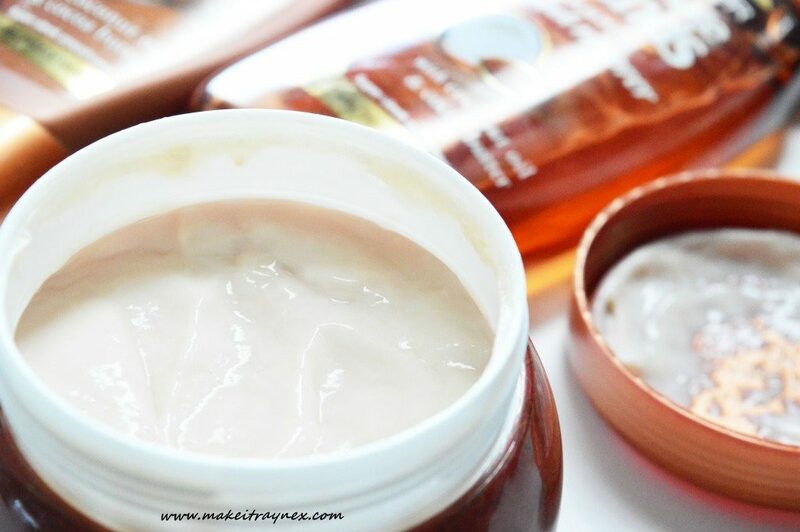 The first time I used the range I used the shampoo, then conditioner and then the balm. Upon reading the instructions on the back whilst dawdling in the shower, I realized that you don’t need to use the conditioner AND the balm! This is the first time I have used a three part range where you can drop on of the second two options. Either way, I used all three and my hair was immensely soft and luxurious. I was slightly worried that the combo of all three would leave my hair feeling really oily and heavy, but, thankfully, these products are rich yet not rich enough to create terrible build up should you accidentally use too much 😉 It is very easy to wash out if you apply too much of either product. Another great aspect of the range is that the balm can be applied and left on your hair for anything from 1 minute to 5 minutes. That means that if you are pressed for time you can do a quick sticks 1 minute nourishing boost, but if you have the time you can treat yourself to an extra long and luxurious hair mask. To be honest for review purposes, I tend to leave mine on for around 8 – 10 minutes. And again, it is not too rich for your hair. It just feels luxurious and smooth. If you have been around for a while, you will know I only wash my hair three times a month. At least, I try. This is mainly because my hair looks better the longer I leave it and I don’t struggle with oily roots or anything like that. Therefore I will only continue the use of a product if it allows me to have big gaps between washes. 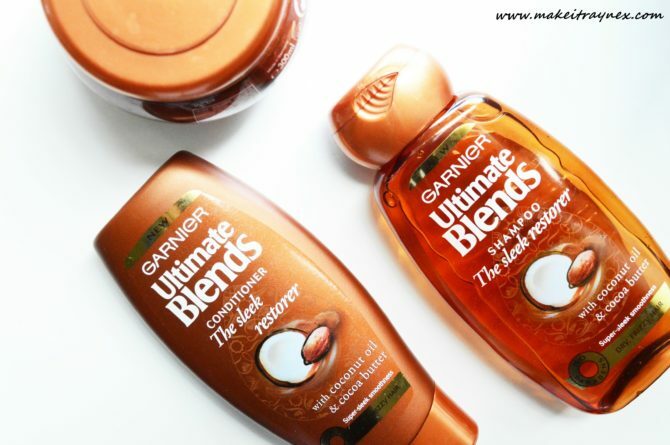 This range of Garnier Ultimate Blends worked really well in this sense. With these, I managed to go 6 days before needing a spritz of dry shampoo and my hair was only just starting to look a bit limp. I did finish both these bottles whilst I am still working my way through the balm. I will definitely be trying out other ranges from this motherlode range though! **A previous version of this post was first published on Becoming You by Kathryn Rossiter. ← Previous Post: My Face Mapping Session with dermalogica on Wembley – and you can do yours online!